Earlier this year you may have seen me posting all about the keto diet on Facebook and Instagram, I even wrote an article about why I was going to try to keto diet, mostly for the purpose of training for the Georgia Death Race and the Mojave Death Race. Basically, I wanted to conduct a new dietary experiment on myself. Now, I’m no Doctor or Scientist so my conclusions are mine and mine alone and are based entirely off of what I personally experienced, with that said, I spent over seven months adhering to an extremely strict ketogenic diet with intermittent carb cycles that would last no more than a 24-48 hours before I would return myself to ketogenesis. In my experiment, I discovered this diet was very effective in maximizing energy stores that I could tap into, especially for the purpose of enduring ultra-marathons and other long distance endurance events. 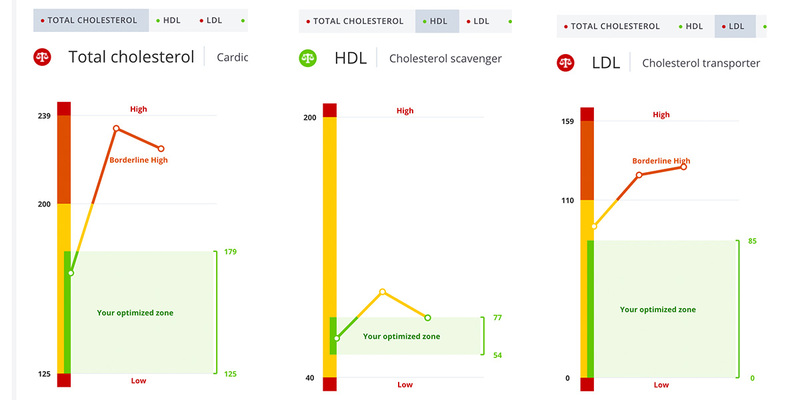 During this experiment, I had a few blood tests conducted through the InsideTracker program, which enabled me to analyze the results of my diet and get a snapshot in time as to how this diet was changing various biomarkers. Before I dive into my results, let’s review some of the most interesting benefits I experienced while I was on a regimented Keto Diet. LSD (Long Slow Distance) Runs Became More Sustainable from a Fueling Standpoint – For me, a long slow distance run on the weekend is the ideal way to get my distance training in. When I have the choice I prefer adding some elevation to the distance mix so I typically find myself doing long runs in the mountains, like my local favorite, Mailbox Peak. Prior to the Keto diet, I would need some sort of bar or snack at the top to make it through the whole run/hike which usually took 2+ hours, but I wasn’t shooting for time back then either. On the keto diet, I only drank water and was surprised to find I was able to finish in under 2 hours with little hunger. Increased Energy Levels – You would think without carbs or sugar that a person would be sluggish or tired all the time, I didn’t find that to be the case, in fact, I often times felt like I had this endless energy. It was pretty awesome. 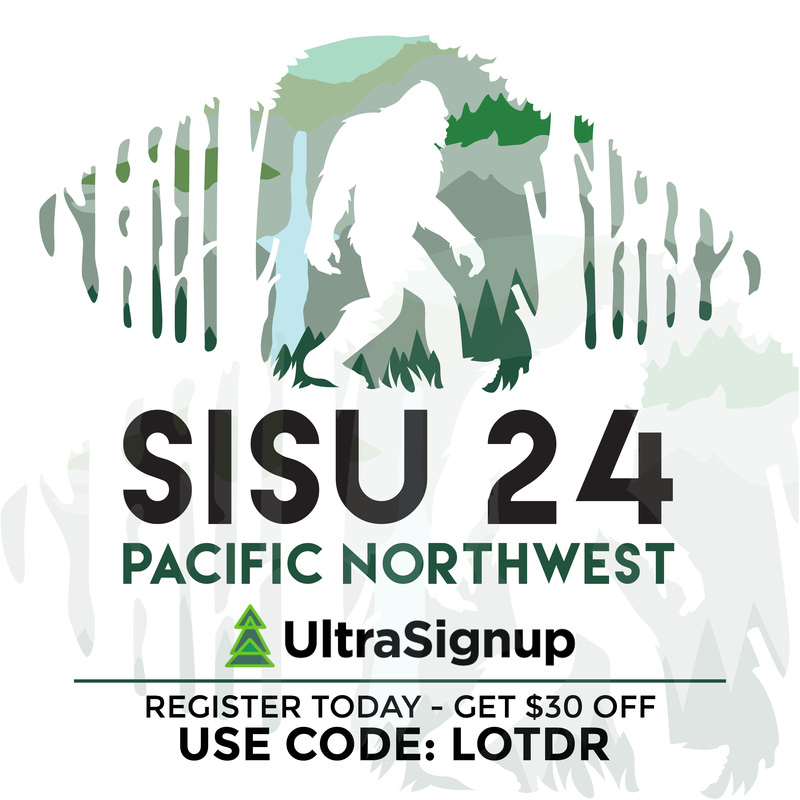 No In-Race Stomach Pain – Probably the best perk, I could get through an ultra distance event without feeling stomach pains from eating carbs, sugary gels and the like. The first 30 miles of the Georgia Death Race I probably could have gone without eating a thing and it felt so good. Conversation Starter – Every time I went anywhere it was a great conversation starter, though after a while I got sick of explaining it to everyone I encountered. Depending on how much you like to repeat yourself, it can be a great way to spark a convo. Keto definitely had its perks but when it comes to finding a sustainable diet, there were some issues I identified during my experiment that made me believe this diet is not something you do all the time but for a specific purpose. Let’s take a look at my results and then we can get into the nitty-gritty on why I stopped strictly following the ketogenic diet after experiencing all the benefits above. Cholesterol Increased – When adding more and more fat to your diet, it’s expected that you’ll be adding more cholesterol, if you decide to do this diet, be very selective of your fats, think more avocados and less bacon. It’s an Expensive Diet – This is one that I wasn’t expecting, but it makes a lot of sense when you think about it. The cost of all the meat and good fats increased my average monthly grocery expenses by close to $75/month, that’s not a small increase. Lesson learned carbs are cheap and filling. Social Gatherings Become Less Fun – When you have to spend more time figuring out what you can and can’t eat instead of enjoying the company of your friends, it can be a real drag. Too Restrictive and Specific – The keto diet is very restrictive, no sugar and virtually no carbs are one of the most challenging tasks you can take on, especially living in America. Our food system revolves around these two ingredients, it’s really crazy. Take a look at some labels around your kitchen, how crazy is it the number of carbs and sugar you find in everything? When it comes to the diet, I was only allowed 30g of carbs/day. That’s really freakin’ difficult to stick to. Most People Will Fail Because Macros are Difficult to Balance – Keeping a perfect balance of your macros is tough. It’s not always the issue of having too many carbs that will through people out of ketosis. What happens often times is people think, “great, I can eat all the meat and dairy I want on this diet,” and the next thing they know the diet isn’t going as planned and they never actually enter ketosis. What went wrong? When it’s not too many carbs or too much sugar, the other culprit for throwing you out of ketosis is eating too much protein. It’s surprisingly easy to have too much protein, remember the balance of macros is 65% Fat, 25% Protein, 10% Carbs. You eat too much protein and you’ll throw yourself out of ketosis almost as fast as if you have too many carbs. It requires a lot of work and detailed tracking to make sure you’re getting the most out of the diet. Is it really worth it? For me, ultimately, it wasn’t. I’m Not as Fun of a Person When I Have to be THAT Regimented – I realized I became a bit touchy, while I had a lot of energy I was more likely to get hangry when I was on this diet because there were often times I’d rather not eat until I could find something balanced than fuel myself when I needed to. So you may be wondering, when would you use the ketogenic diet, if ever? Here’s the thing, the diet is quite incredible, it can help people lose weight, it can help endurance athletes go longer with less in-race food consumption and stomach pain, but doing it year round is not sustainable. When it comes to preparing for a specific event, I could totally see myself utilizing the diet to get myself into ketosis and harness all its benefits but I don’t think I would do it for more than the month leading up to the event. If you decide that you would like to try the diet, there are a few key things you need to do, to do it right. Keto Strips – If you’re not using keto strips, are you really doing the keto diet? I mean how do you know if you’re in ketosis, you won’t know if you don’t take the time to urinate on these strips multiple times a day. Food Journal – Another way to know you’re doing everything right is to keep a food journal, especially when you’re first getting to know what is in your food in terms of carbs, protein, and fats. You can easily track your macros with an app like MyFitnessPal. It’s a very challenging diet if you want to succeed and get the results you hear about all over the web. Remember, this is just my personal results from my experiment with this diet, we’re all different, we all have different bodies, find what works to optimize your personal performance.